Over the next few weeks in the build up to the opening of Napoleon Disrobed at Theatre Royal Plymouth, we will be sharing our rehearsal diary written by different members of the company… stay tuned to be amongst the first to hear how Napoleon Disrobed is shaping up! As an assistant director, my role is to facilitate rehearsals, take notes, support the actors and focus on the smooth running of the production process alongside the Director. This my first show with TBAI but I’ve been aware of their work since seeing their production of I’m a fool to want you which I saw at the Battersea Arts Centre in 2004. I remember being so impressed by this exciting and unique style of theatre, I was inspired and entertained by the performers. I remember thinking about if I ever had my own company I would create similar work! I found the companies work exciting, funny, physical and very playful. 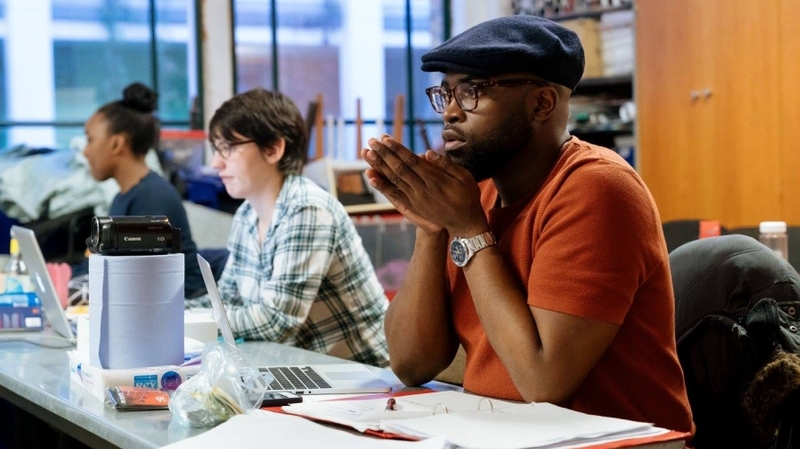 That was my first encounter, then years went by, drama school and real life…and early in 2017 I was reintroduced to TBAI as I took part in the director in the devising process workshop which was run by Paul Hunter. This was a week long workshop learning how TBAI approach devising and creating work for performance. Working in a devised show is exciting, unpredictable, intense, focused, I could go on… but seriously it’s such a rollercoaster of fresh ideas, constant communication, trial and error of different ideas. You really can’t afford to be too precious about anything because that amazing idea you discovered today might be gone in the morning! I guess working in a devised process is different as a sense because your primary source is the idea, concept or in this case the novella ‘The Death of Napoleon’, which is our starting point. Everyone comes to the room with that subject in mind. With a scripted rehearsal room, you would approach the work from what the writer has prepared for you, that’s the starting point. With devising, your ideas and play creates the work. Rehearsals are a lot of fun, you can’t be too serious when creating but you have to work. We’ve been working hard and enjoying what is being created. Kathryn Hunter, the director, makes it so easy for everyone in the room to feel like they’re a part of the process by allowing everyone’s voices to be heard, which is unusual in comparison to most rehearsal spaces I’ve been in! Everyday there’s a rehearsal call and Kathryn sets out certain scenes to work through and a possible outcome. We then run through the plan and find the best version of an idea, and things can sometimes take a long time but it’s all part of the process, as long as you’re moving forward. We are now at a place where we have all the scenes we need and we’re adding clarity and structure to some of the initial ideas in order to get a better sense of the play. The structure is all there, just adding a bit of meat to bones! It’s an exciting time…only one week left of rehearsals!